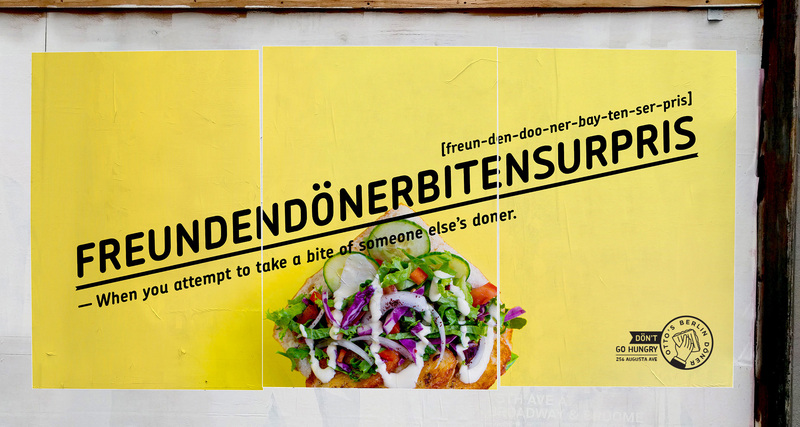 So what do you do when your friends launch a Berlin-style Döner restaurant in Canada? 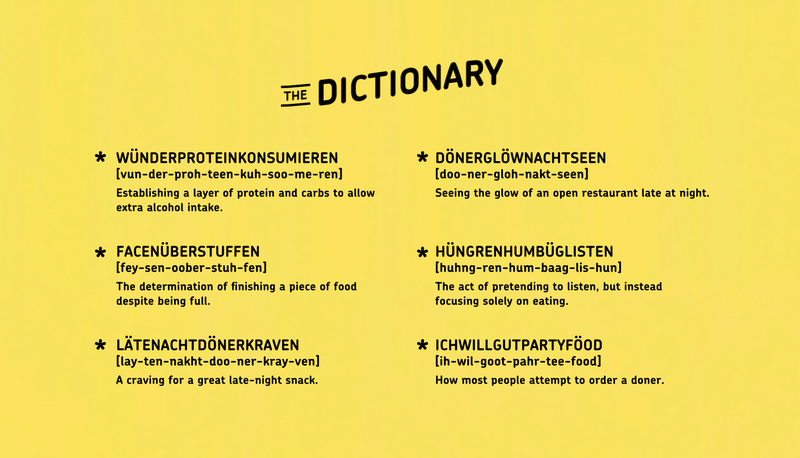 You come up with fun new German words. Obviously. Try saying it, it's fun. 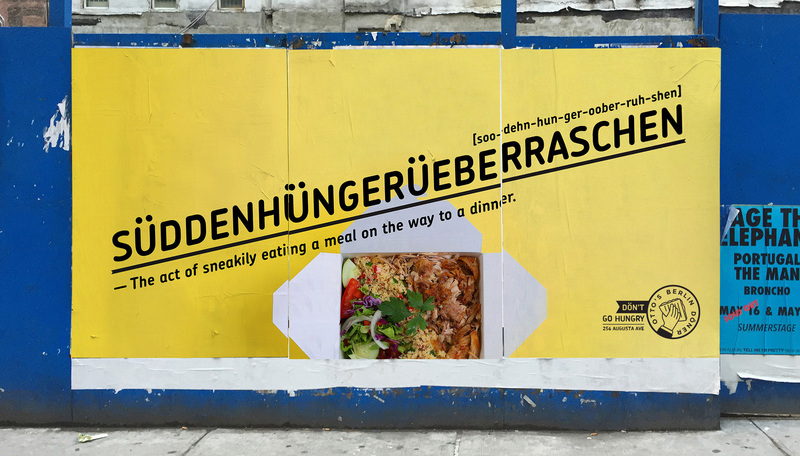 Interestingly, "Üeberraschen" is a German verb "to surprise", and in English it sounds like you are in a rush. It all makes sense. 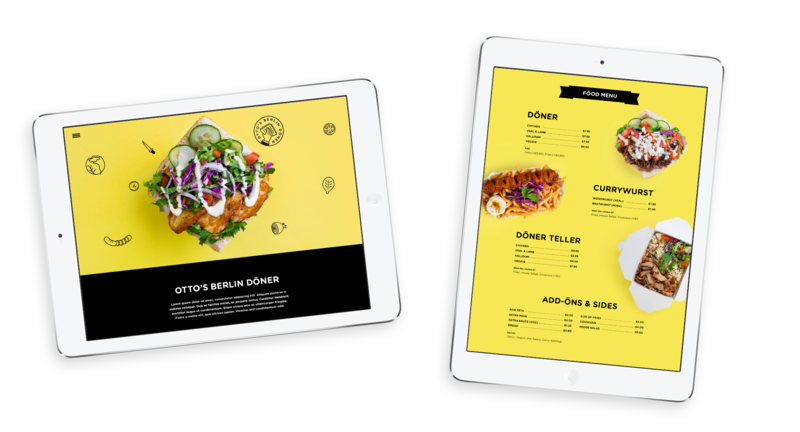 In addition to making a number of silly promotions, such as "say this super long word to get a discount on your doner" we also made them a pretty new website. The results are - Erfolg! But it might be because the food is so damn good.